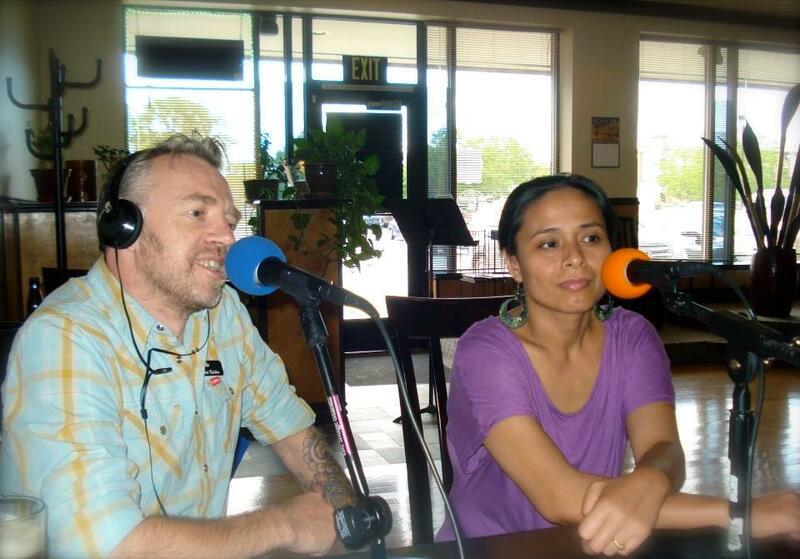 In this very first “Lite” episode Bill chats with Jake and his wife Jitrada about how they met, why they ended up in Utah, and why their restaurant, Sala Thai Kitchen, is soooooo good. They also gave us their recipe for Kaho Soi! 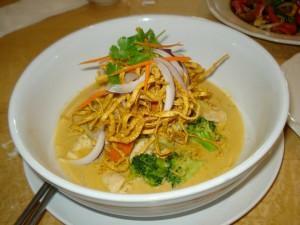 Khao Soi is a curry noodle dish from the northern part of Thailand. It is often made with chicken, served Steamed with deep-fried egg noodles in special curry, coconut milk , red onions,scallions, cilantro and a squeeze of lime juice. The dish is a seeming cacophony of taste, each strong and distinct yet they blend into one beautifully harmonious and delicious bowl, when done right, of course. First you make the chicken curry..
1. Into a hot heavy bottom pot, add the oil and the red curry paste, curry powder and turmeric and cook, stirring vigorously, for a few minutes until the curry paste is fragrant. Be careful not to burn the paste. 2. Add 1 cup of coconut milk, stir to blend and let the pan come back to a boil. Let it bubble for a few minutes over high heat, stirring often, until you see the red oil separating from the coconut milk mixture. Add the second cup of coconut milk, again wait until the oil separate. 3. Add the chicken pieces to the pan, with the 1 cup water and the rest of the coconut milk. Let the pan come back to a boil, then lower the heat to simmer. 4. Add the fish sauce, starting with 2 tbsp. Close the lid and let it simmer until the chicken is done. Check the seasonings, you might need to add more fish sauce. 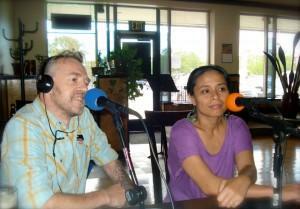 The flavor of the curry should be salty, spicy, and with a very slight after taste of sweetness. When you taste the curry at this stage, it should be a bit saltier than what you would like the final dish to taste like. If it is under-salted now, the addition of the other ingredients at serving time will make it even more insipid. Then you deal with the noodles and the rest of the garnish..
6. Slice the shallots, rinse and slice the mustard greens, cut up the limes, chop the cilantro. Set aside. 1. After the chicken curry is done, heat up a large pot of water to a full boil. Rinse the rest of the fresh noodles first in cold water to wash out the excess starch, then cook in the very hot boiling water for 2-3 minutes. Stir the noodles well to prevent sticking. 2. put some cooked noodles in a bowl, top with the curry, and the garnish to taste. Squeeze some lime juice into the bowl just before eating. You could add the fried chillies if you want more heat. If you try to make this at home please write to us and tell us how it turned out!